Iran has banned imports of over 1,300 products, preparing its economy to resist threatened US sanctions, following public protests against the plunge of its currency to a record low. Iran’s Financial Tribune newspaper on Monday, quoting an official document said, Industries and trade minister Mohammad Shariatmadari slapped the import ban on 1,339 goods that could instead be produced within the country. In view of rising prices and plummeting value of Iran's currency, thousands of traders of Grand Bazaar in Tehran held a huge protest and also gathered in front of parliament on Monday. 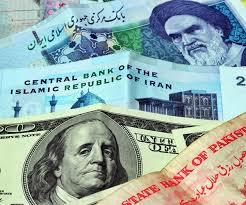 Under heavy pressure from the U.S. sanctions threat, Rial sank as low as 90,000 against the dollar on Monday. It was the biggest protest in Tehran since 2012, after U.S. President Donald Trump decided to withdraw from world powers’ deal with Iran on its nuclear programme. The economic sanctions were lifted after the deal was implemented in 2016, but President Donald Trump announced in May that the US was abandoning it.